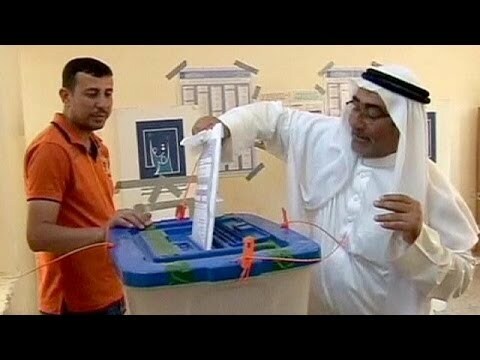 The numbers don’t support the idea that Iraq can’t hold these elections without US troops in country. The death toll in the 2010 election, which US soldiers provided security, was three times as large. The numbers also don’t support the allegation that the high monthly death toll in political violence, about 800 a month, would make it impossible to have a proper election. (The death toll in Iraq is horrible, but it is smaller than that in Mexico in recent years). Iraq is deeply divided among Shiite Arabs, Sunni Arabs and Kurdish Sunnis, and many Iraqis see the present prime minister, Nouri al-Maliki, as having developed dictatorial tendencies and having increasingly deployed paramilitary Shiite gangs to assert himself. Hence the belief that there is a surge in popularity for the Islamic Supreme Council of Iraq of Ammar al-Hakim. A big question is how long it will take to form a new government (last time it was 9 months). A further big question is how well Iran will do out of the new parliamentary coalition and the prime minister (it cannot be ruled out that al-Maliki will remain, and he has grown closer to Iran). The new government is faced with many challenges, including a Syrian war on its threshold and a Saudi-Iranian Cold War that threatens Iraqi security.